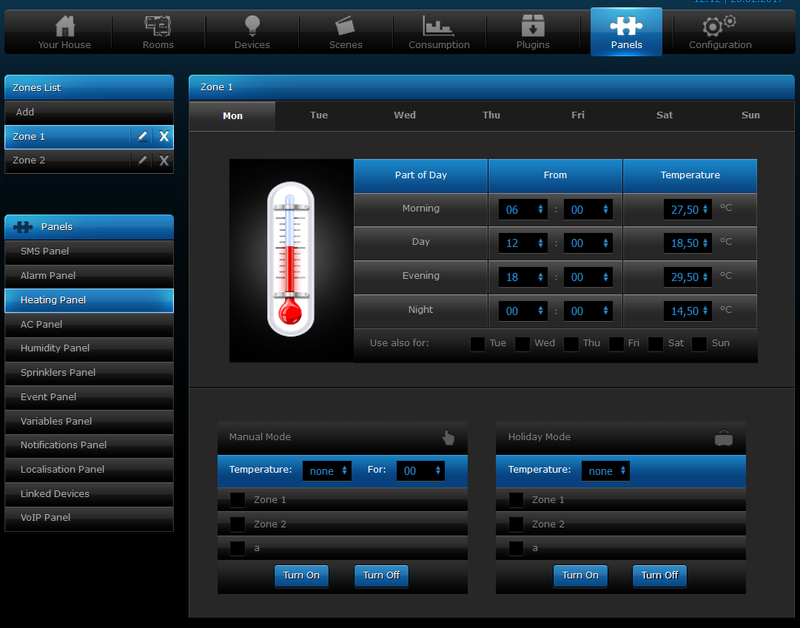 FIBARO Home Center Lite is the home automation controller, used to manage the FIBARO system. 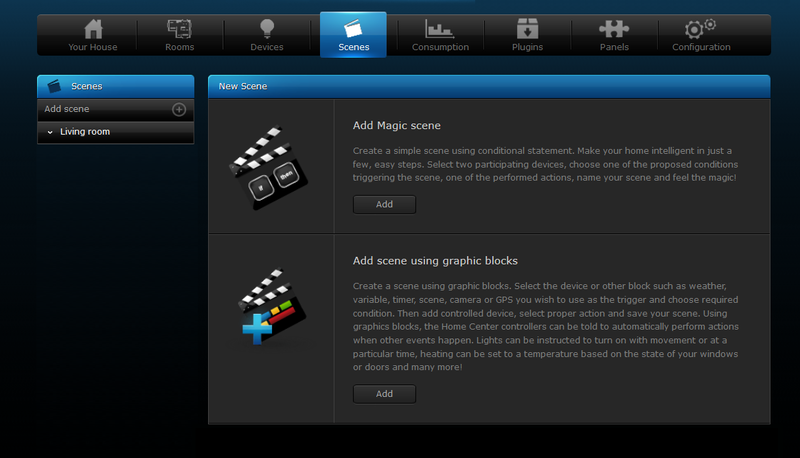 It is a compact version of Home Center 2. 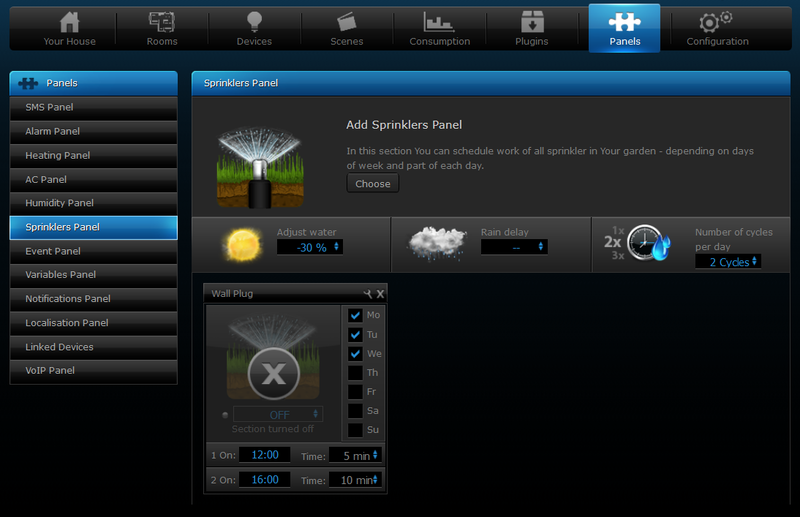 Works with graphic and user-friendly interface which allows to control all of the devices and create scenes. 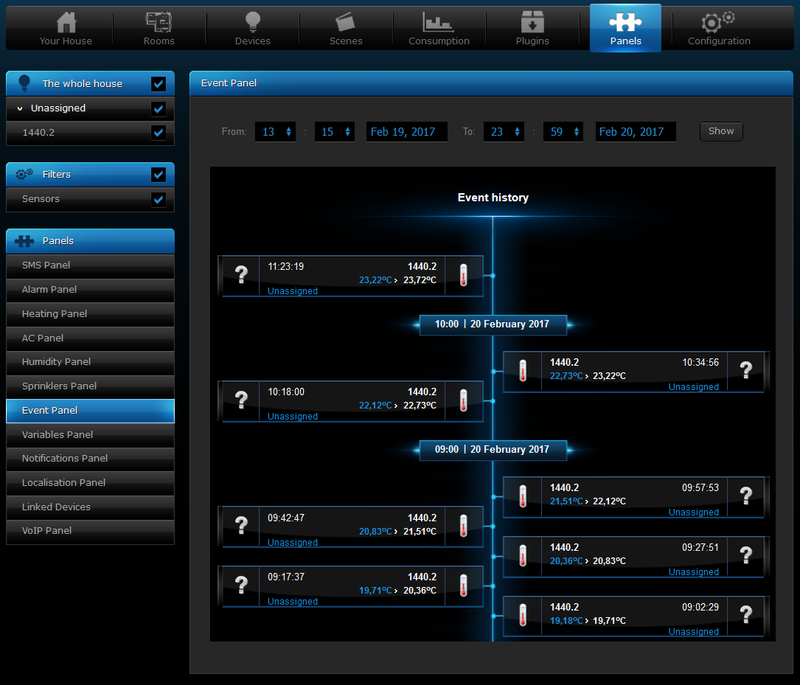 Uses wireless Z-Wave technology to manage multiple connected devices simultaneously. 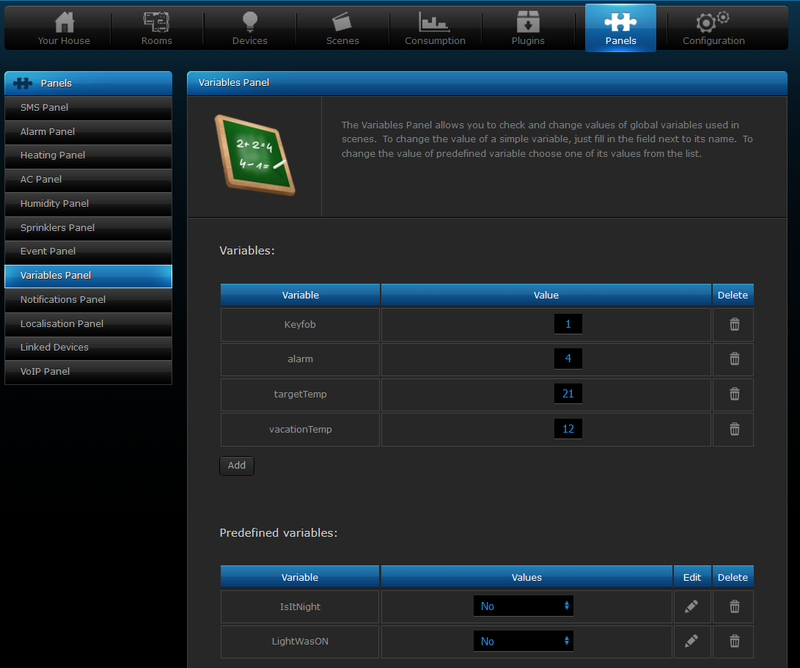 Interface available through web browser or phone app. Simple set up and configuration. Compatible with range of Z-Wave sensors, actors, remotes, and various IP cameras. 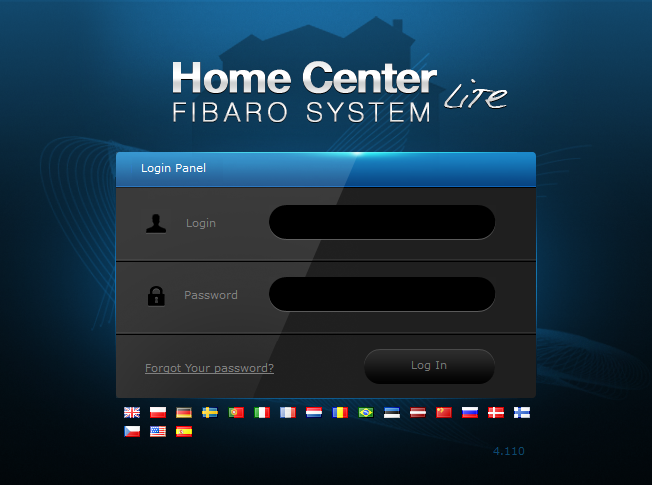 FIBARO Home Center Lite is much the same as FIBARO Home Center 2. 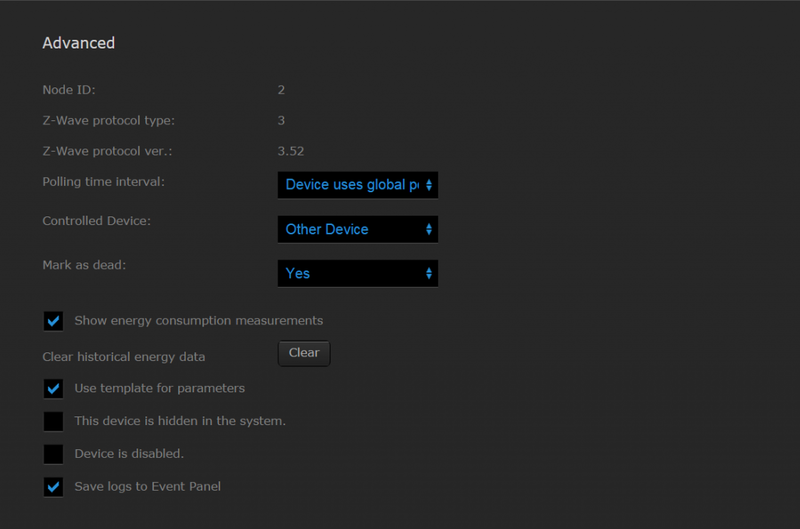 In terms of performance connecting to Z-Wave devices and the number of devices you can connect in your home, there is no difference. 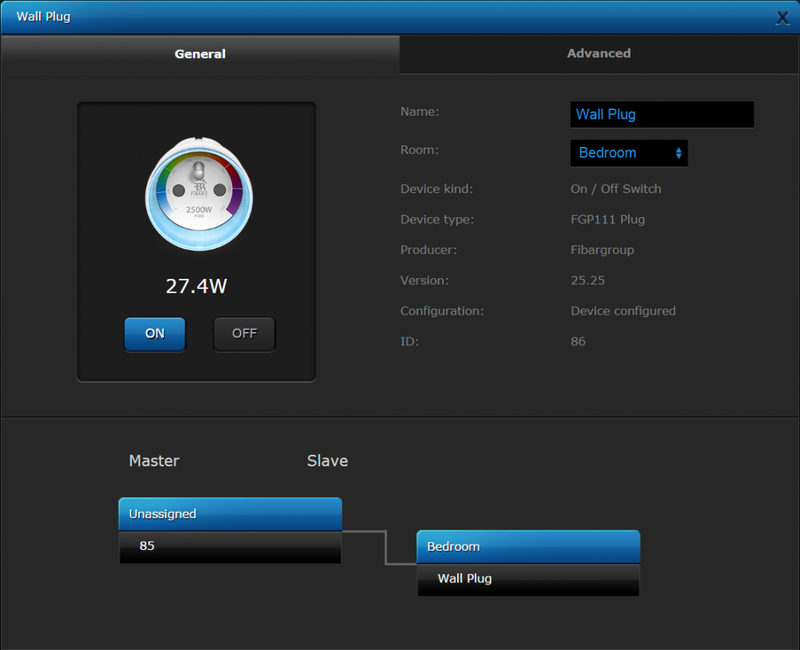 Furthermore, Home Center Lite can work as a stand-alone Home Center (perfect for house or unit) or as a Slave (via linked gateways). 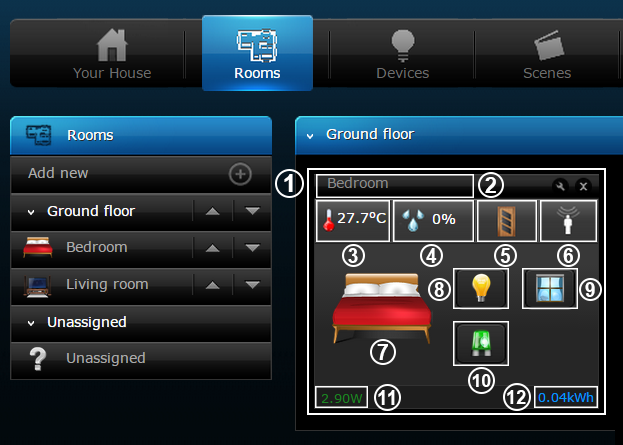 HC Lite cannot work as a Master Home Center like Home Center 2 which is designed for this purpose. 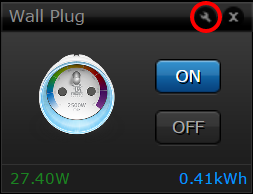 Whilst the Home Center Lite may lack some of the features of its older brother, it is still packed with a lot of power and features in the box. Home Center Lite can also be mounted out of sight due to its compact nature. 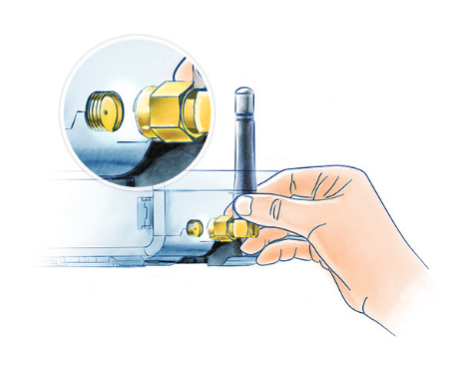 Start from connecting the antenna, by turning the mounting screw clockwise. 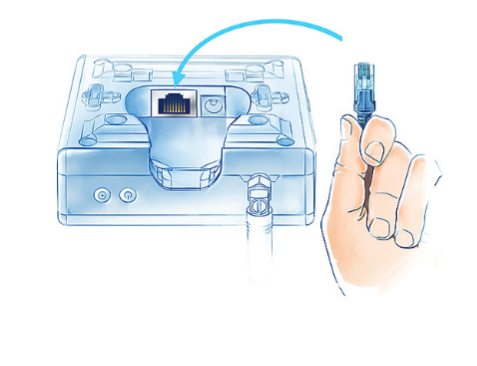 Using the included ethernet cable, connect Home Center Lite’s LAN port to a router in order to connect the gateway to internet. 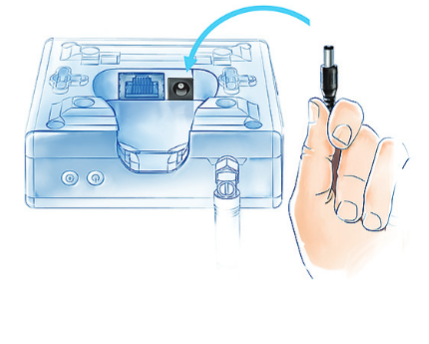 Connect the included power adapter to Home Center Lite and plug it to the mains socket. 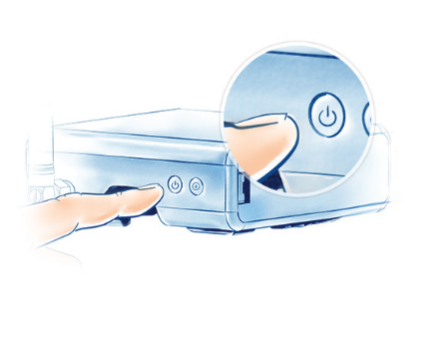 Press the POWER button briefly. 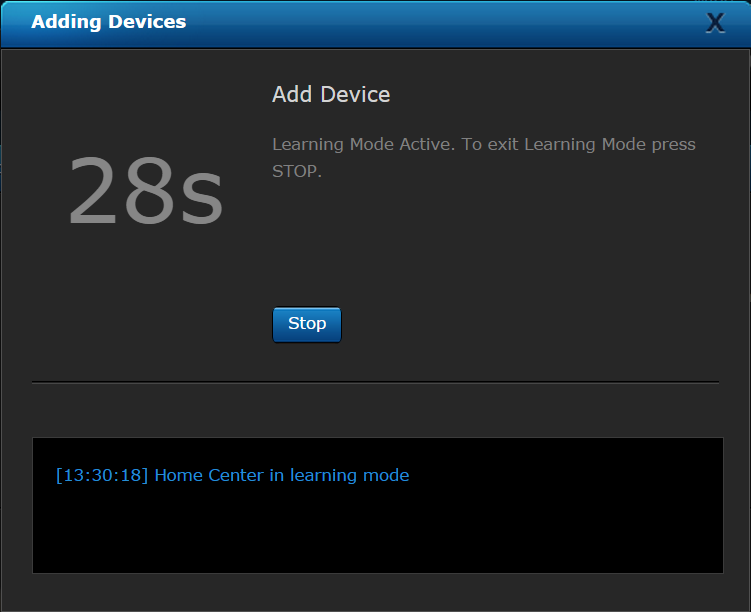 Your Home Center Lite will be ready to work in few seconds. 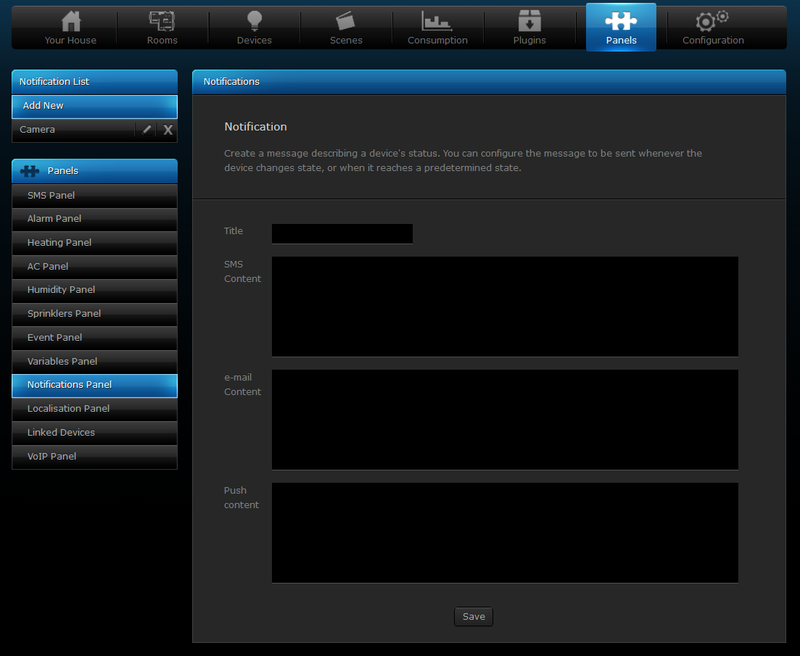 After successful connection you will access HCL Login Panel. 1. 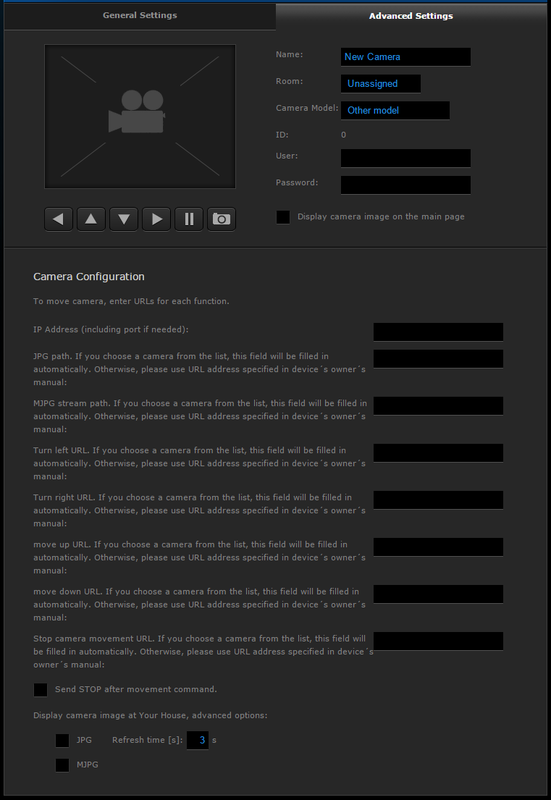 After successful connection you will access HCL Login Panel. 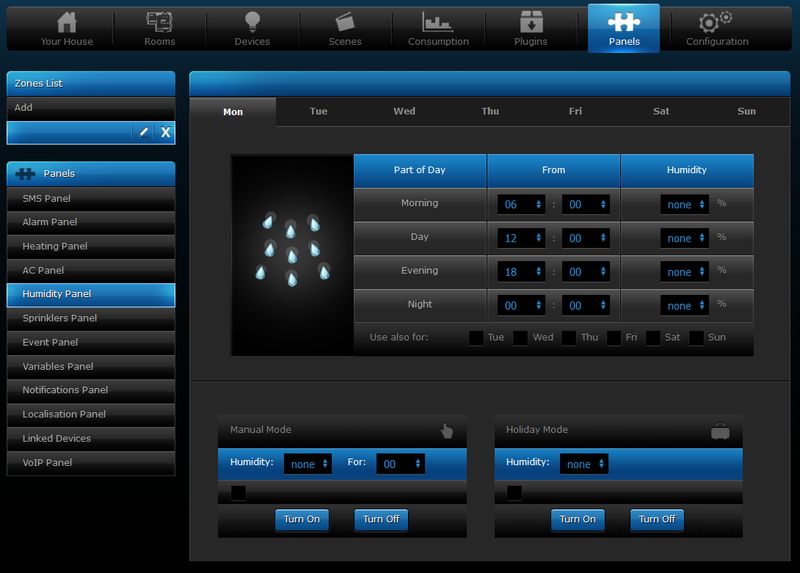 Home Center Lite Configuration interface allows users to modify whole range of advanced settings for every device. 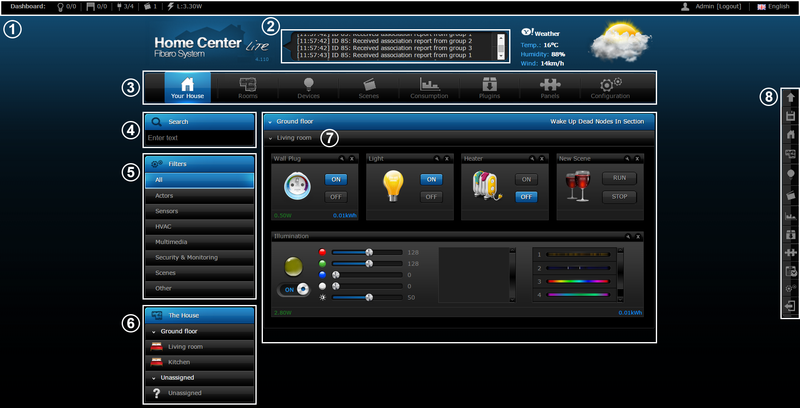 Consumption section of Home Center Lite configuration interface allows for monitoring power consumption and temperature readings from every device connected to the HCL capable of doing so. In Home Center Lite you can use at most 5 plugins at the same time. 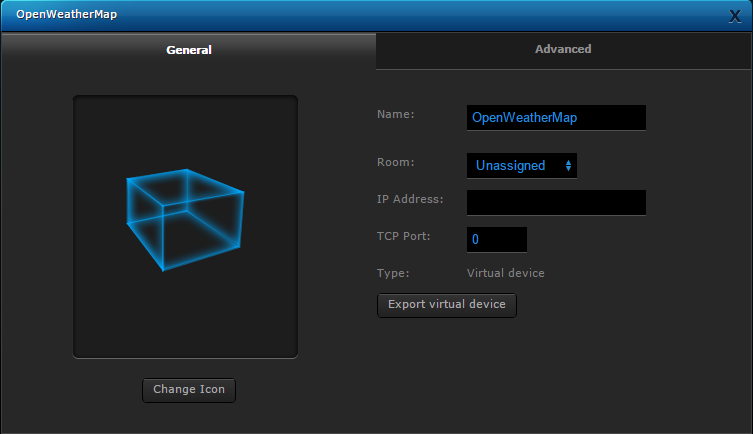 Localization Panel uses user defined GPS points to activate GPS scenes. 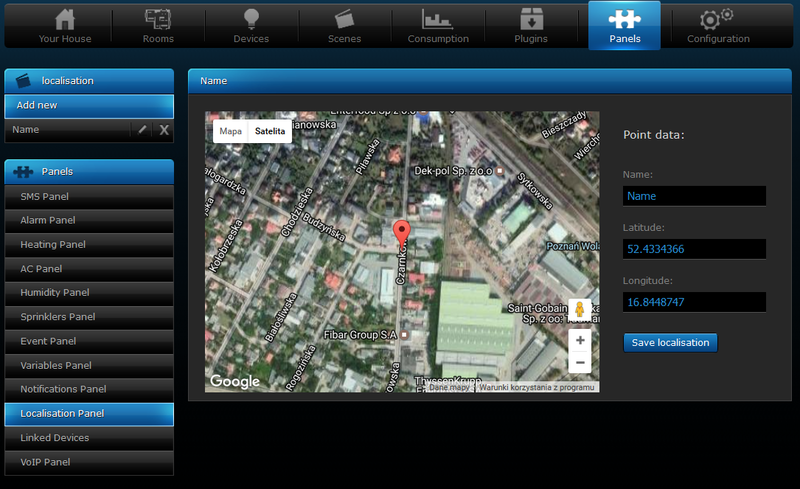 There are two ways of defining GPS points choosing on a map, or entering certain GPS coordinates. Linked Devices combine several devices into one device. 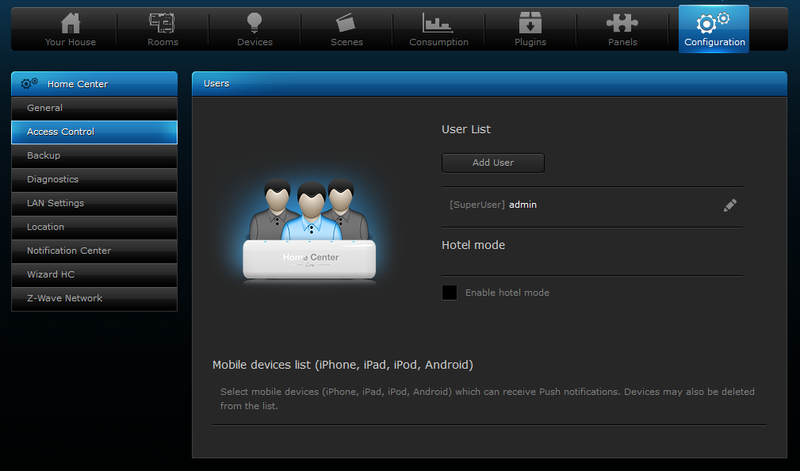 Using this function results in controlling the group of related devices as if they were one single device. 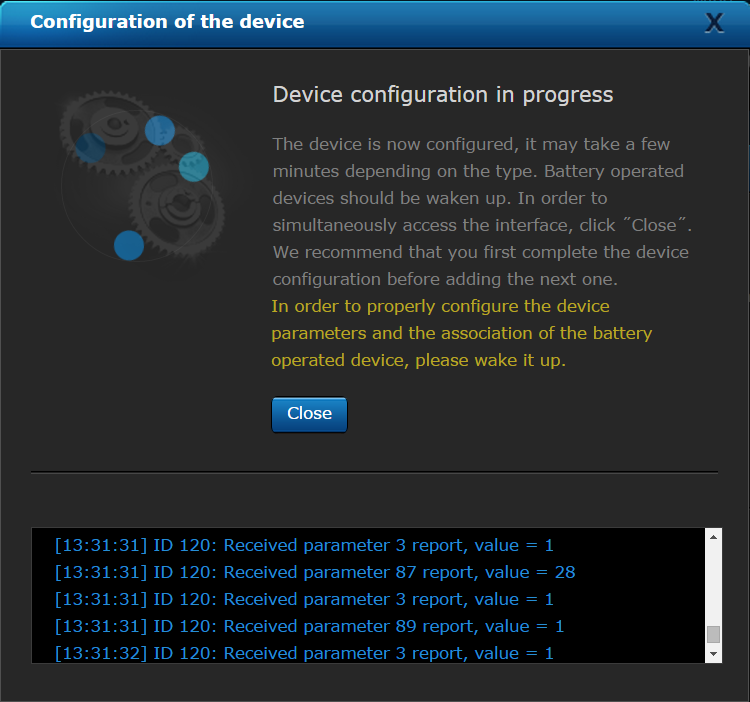 The group will be presented in the HCL interface as a single device. 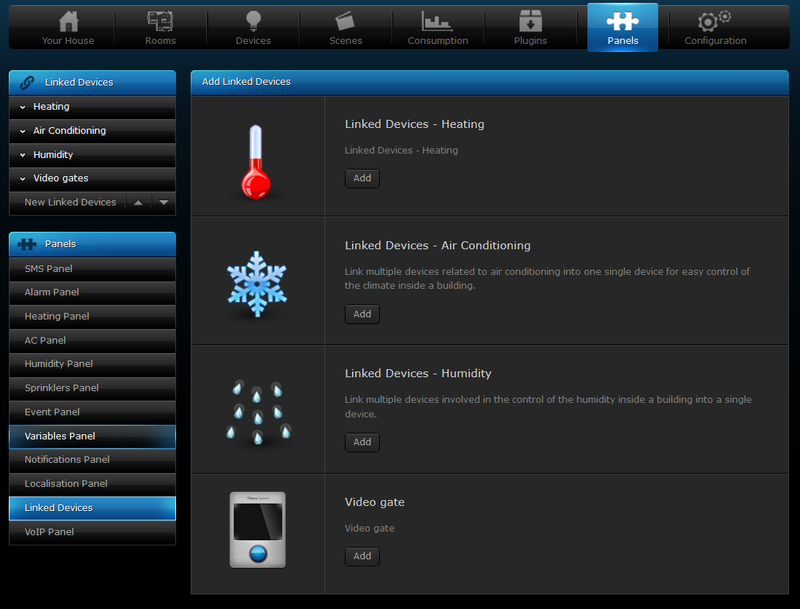 General Information window of Configuration section of Home Center Lite provides basic information about your HC gateway, lets you choose main sensors, restart and change language of the interface. Basic information about the Home Center Lite include: serial number, MAC address, current software version, time and date last system backup file was created and server status. 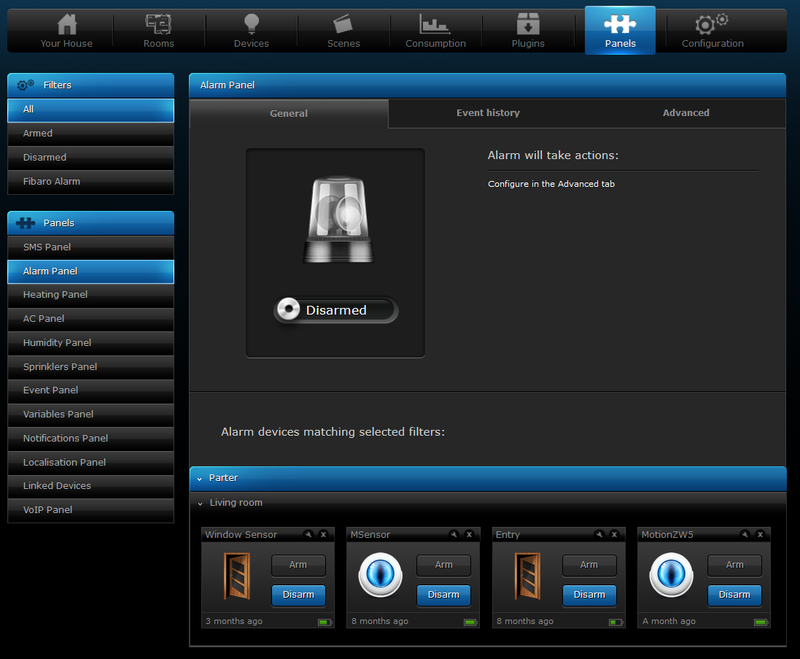 The Access Control window allows you to manage the accounts of the users of your Home Center Lite. 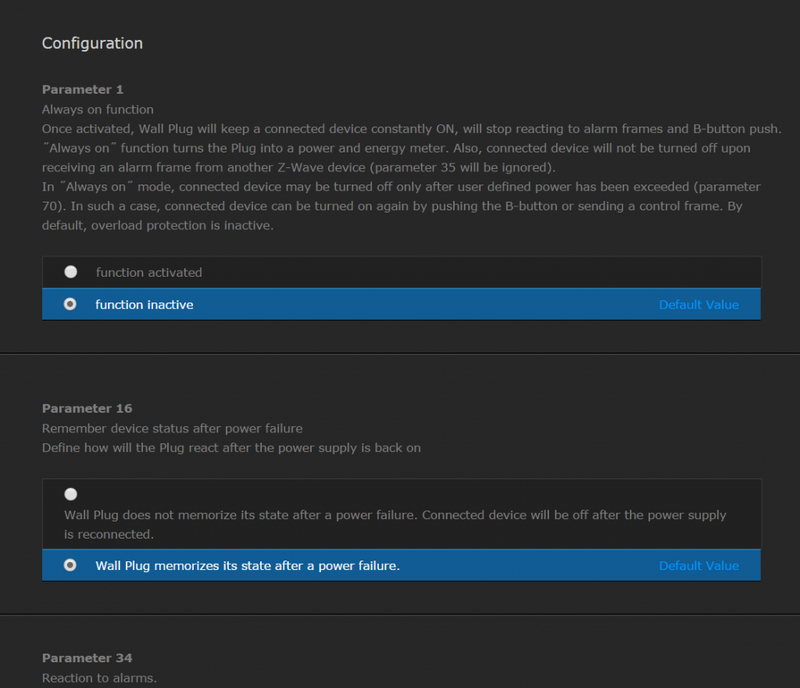 It allows you to grant/block access to the devices, scenes and system settings. 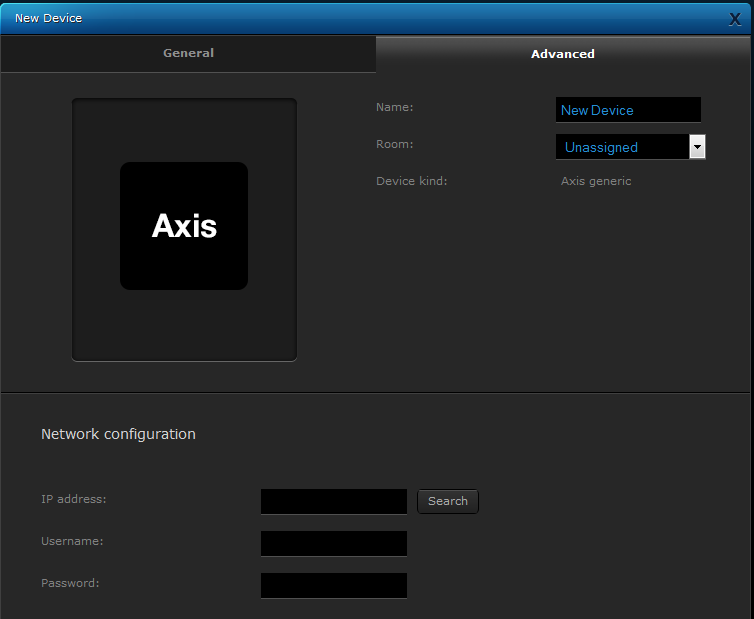 From the Access Control it is also possible to grant/block access using the hotel mode for a given mobile application or set a period for reporting GPS locations from a certain mobile device. 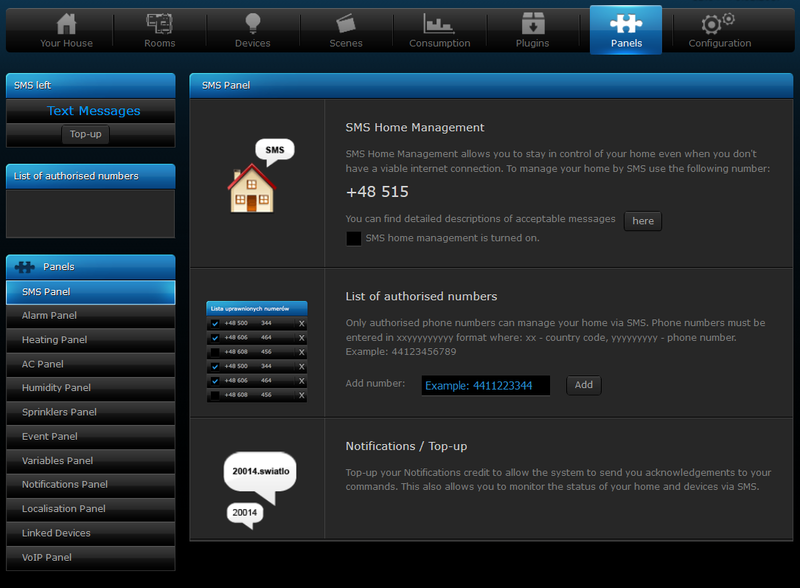 Also, the Access Control gives an option to define mobile devices which will receive Push Notifications. 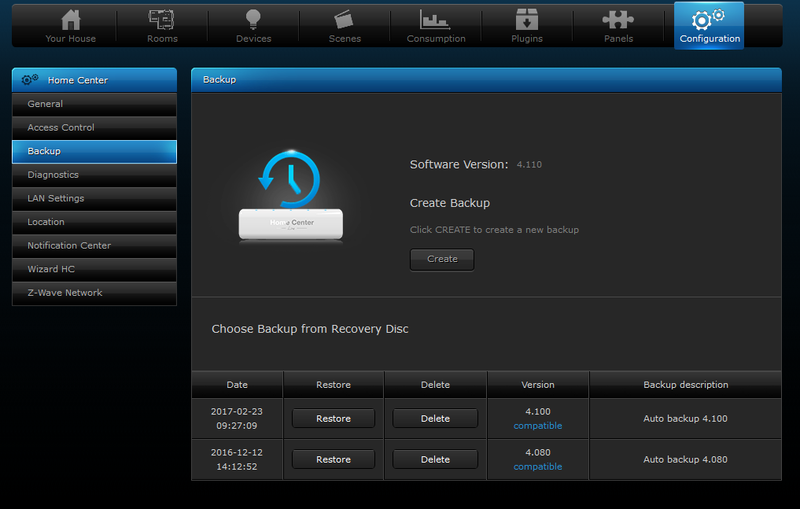 In the Backup window of the Backup section the backup files are created and list of them is displayed. Backup file is a copy of a file containing the information’s about all devices added to the system and all of their settings, users individual settings and the HCL operating system. 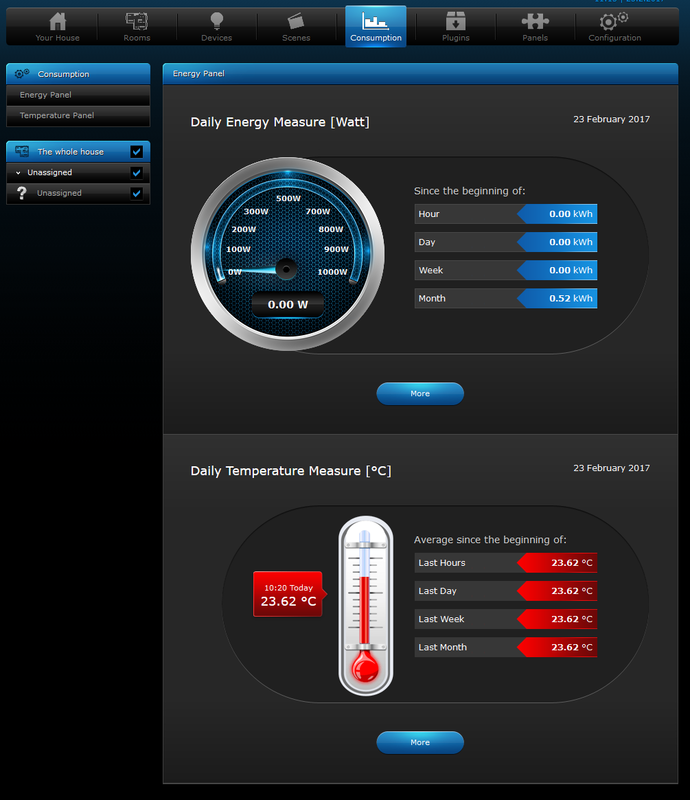 Diagnostic panel allows to monitor Home Center Lite resources usage, like CPU, RAM memory and storage memory. Z-Wave tab of Diagnostic panel displays if all your Z-Wave devices are configured properly. 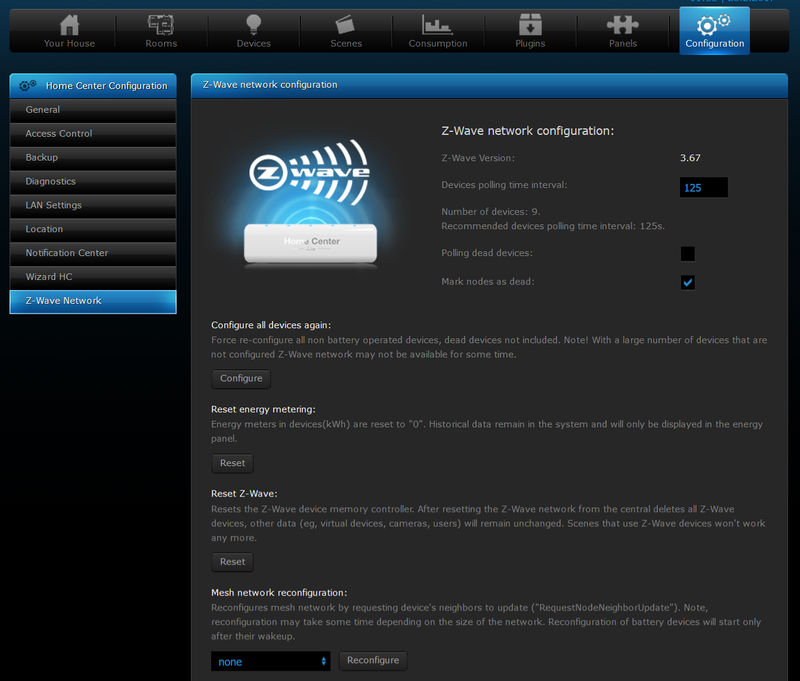 LAN Settings window allows for configuring local network settings HCL is connected into.